Palestine Liberation Organization (PLO) Secretary-General Saeb Erekat said the "state of Palestine" bases its stance on international law and legitimacy, and sees the international community as responsible for enforcing the pre-1967 borders. According to Erekat, the international community has a responsibility to solve the Israeli-Arab conflict. This, Erekat claimed, is because it is "a fact" that the Middle East's security, peace, and stability depends on ending the fifty-year Israeli "occupation." In a Ramallah meeting with representative of the European Union, Japan, and Russia, Erekat praised Europe, Russia, and Japan for their support of a two-state solution based on the pre-1967 borders in which Jerusalem serves as the capital city of both countries. 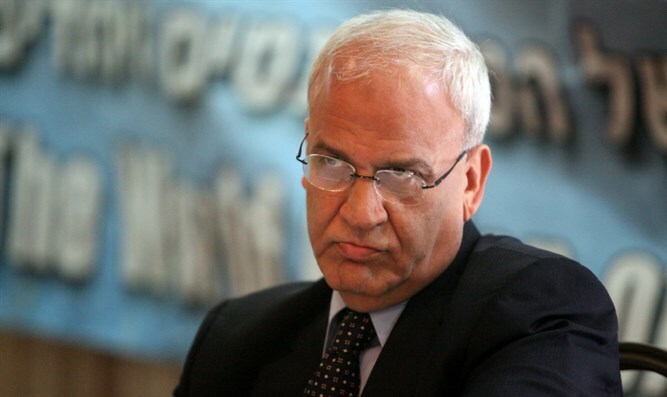 Regarding the internal Arab conflicts, Erekat stressed the importance of creating a "national unity government" which will adopt the PLO's policies and hold new elections as soon as possible. Erekat claimed a unity government is essential since there cannot be an independent Palestinian state within Gaza, and there cannot be a Palestinian state which does not include Gaza.